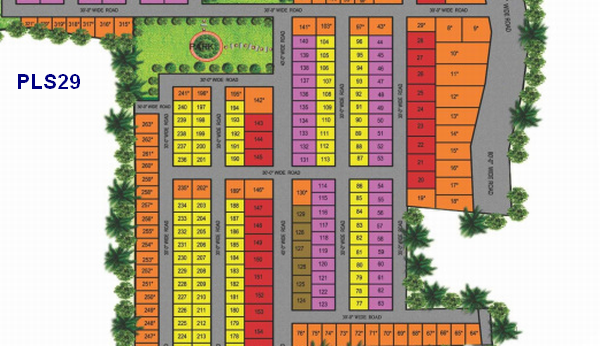 Plot Layout before Wonderla and on the way to Adibatla gives you opportunity to book at best possible rate, right now..
Adibatala development is for Real, not like the proposals made at Fabcity which never materialized. In Adibatla, we see real IT and industrial construction first, followed by real estate activity. TCS Project is already operational. Tata Lockheed Martin Helicopter Facility beside the TCS Campus is already exporting Helicopter Parts. Tata Aerospace SEZ is operations. Samooha Aerospace park is in construction stage. Micromax Factory, which was recently inaugurated is on the opposite side of the ORR. The entite land from Thukkuguda upto Exit 13 on the opposite side of PLS29 is being developed as Ecity. Wonderla is already operational and is drawing huge crowds. The Project is 3Km before Wonderla facing ORR with direct access from ORR. From Orr Exit at Wonderla to TCS is 5KM. You will be right beside the vibrant road from Thukkuguda to Adibatla with thousands of people travelling everyday to Wonderal and TCS. Your plot will be visible on the leftside! LANDOWNERSHARE RATE RS.8600/SQD. Please compare with price in existing projects beside ORR, listed below. BOOKING PROCESS: Please confirm interest by filling in ENQUIRY FORM. NOTE: Please note that there are NO Projects available to book since months along ORR, between Thukkuguda to Adibatla. This land stretch is premium, with very high land price. Hence this new project is indeed an opportunity to get a plot, in premium location. Plot Plan, Location Map etc will be emailed to Members who have submitted enquiry for this project.